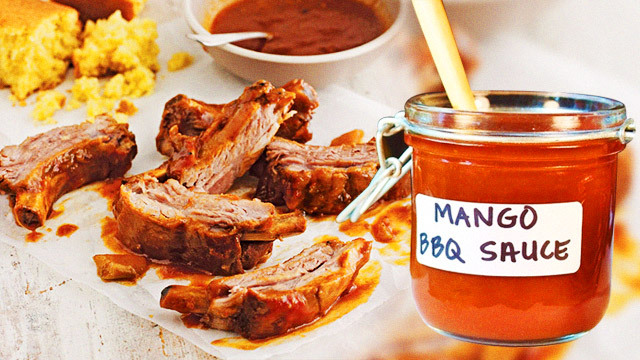 For this weekend, we picked a savory-sweet recipe to tickle your taste buds: Baby Back Ribs with Mango Barbecue Sauce! It sounds pretty intimidating, but it’s actually not that hard to prepare. And if everything goes as planned, your mouth will be the recipient of a meaty masterpiece with a slightly fruity twist! 1. Place all your ingredients except for the ribs in a heavy-bottomed stockpot. Mix until the sugar has dissolved. 2. Arrange the ribs in the pot and bring to a boil before reducing heat to simmer. Cover the pot partially and let the ribs simmer for two to three hours or until tender. 3. Remove the ribs from the sauce and set aside. 4. Strain the sauce using a saucepan. Bring to a boil and let the sauce reduce. This will take about 10 to 15 minutes. Split the sauce into two bowls. 5. Brush the ribs with canola oil and grill them over medium-low heat on a charcoal grill until they are brown and lightly charred. This should take about five to eight minutes per side. 6. 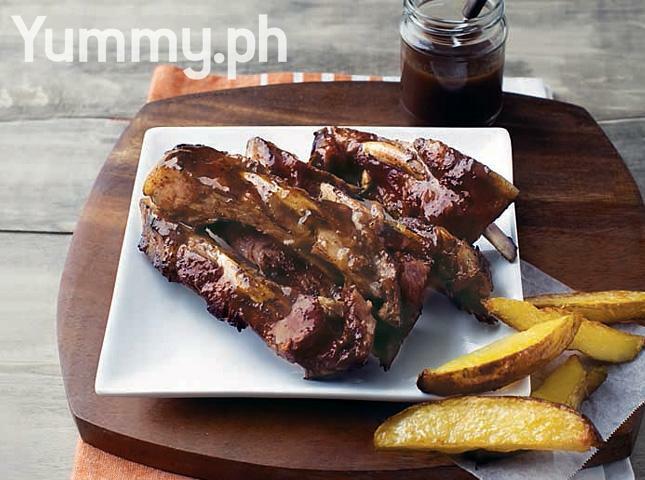 Baste the ribs three to four times while grilling using the sauce from one bowl. 7. Serve the ribs hot with the extra barbecue sauce on the side. - Know your cooking terms: by letting the sauce "reduce," you are thickening and intensifying the flavor of a liquid mixture by simmering or boiling it. And when you "baste" the ribs, you’d be brushing it with a savory liquid to keep it moist and juicy. - Find out if the meat you're simmering is tender enough by inserting a sharp utensil (like a fork) right into the center of the cut. If you can pierce through the meat easily, it’s good to go.